Have you tried Bestowed yet? If you haven't, you are missing out. Bestowed is a monthly subscription box that gets delivered to your mailbox or door filled with hand selected items by Heather Bauer. The March box was focused on immune-strengthening ingredients - like lemon, ginger, honey, tea, and oats - which was perfect because March seems to be the month of illness. It seems like everyone in my house has been sick this month. I'm definitely looking forward to warmer weather so I can do a huge spring cleaning and open the windows and rid my house of all the germs. But until then, I'll just continue to load us up with immunity-boosting foods and drinks. I have got to be super honest with you. I'm not a fan of ginger. I used to love it. However, when I was pregnant with Izzy, I had horrible morning sickness and ate a lot of ginger to keep it away. Perhaps too much, because now ginger makes me cringe. I was a little nervous when I opened my orange Bestowed box and I saw many products with ginger in them. However, I'm always willing to try out new things. So I gave these times a try. 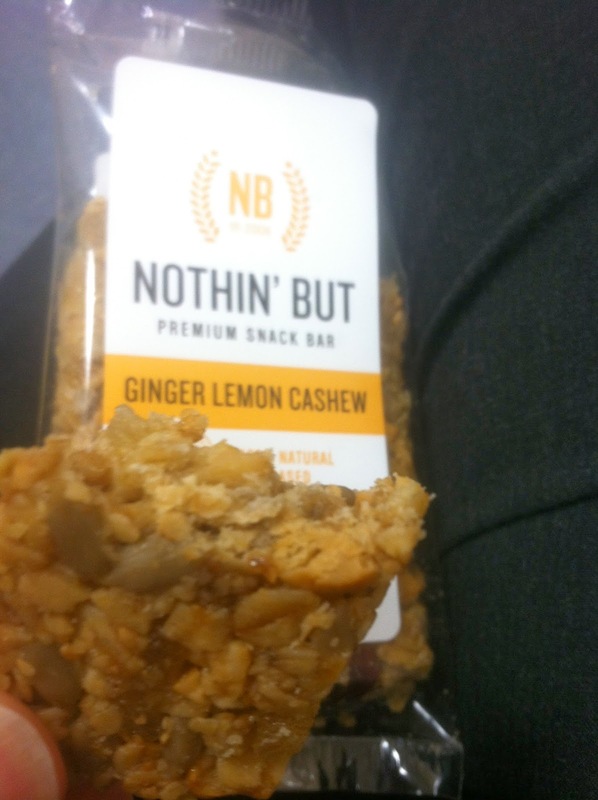 To my surprise and liking, I LOVED the Nothin' But Lemon Ginger Cashew Premium Snack Bar. While ginger was in the name and a major ingredient, it didn't have an over powering ginger flavor. This was especially tasty snacking on this before lunch. I was also a little nervous about Stash Tea: Organic Lemon Ginger Tea. At first I sniffed the package and it had a ginger smell. But after letting it steep in hot water for a few minutes and after I added my honey, it was only a slight ginger smell/taste. There was more of a lemon taste with a hint of ginger. Stash has a great product line, so I was pretty sure I was going to like it. I was just a little nervous about the ginger. So glad I tried it because it's a great beverage to drink just before bed! Last weekend I ran 8 miles on the treadmill at the gym and then worked at the gym. I needed something filling and easily portable to eat after my run. The Vigilant Eat Superfood Cereal filled my needs perfect. 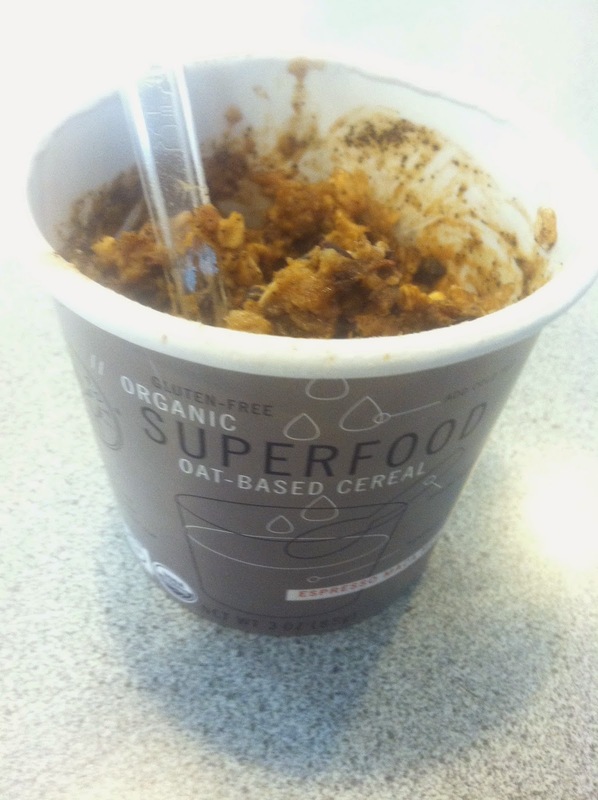 This organic, gluten free, non-GMO cereal in a cup had a very natural yet delicious taste and it filled me up. I loved that it came with it's own little spoon so I didn't have to go without breakfast if I forgot to grab a spoon. I'm a huge fan of Omega-3s. After Tucker was diagnosed with ADHD, we were told to add more Oemga-3s to his diet to improve his focus. I started taking them as well and have noticed a huge difference. The only thing I'm not a fan of is the fishy flavor I get sometimes. 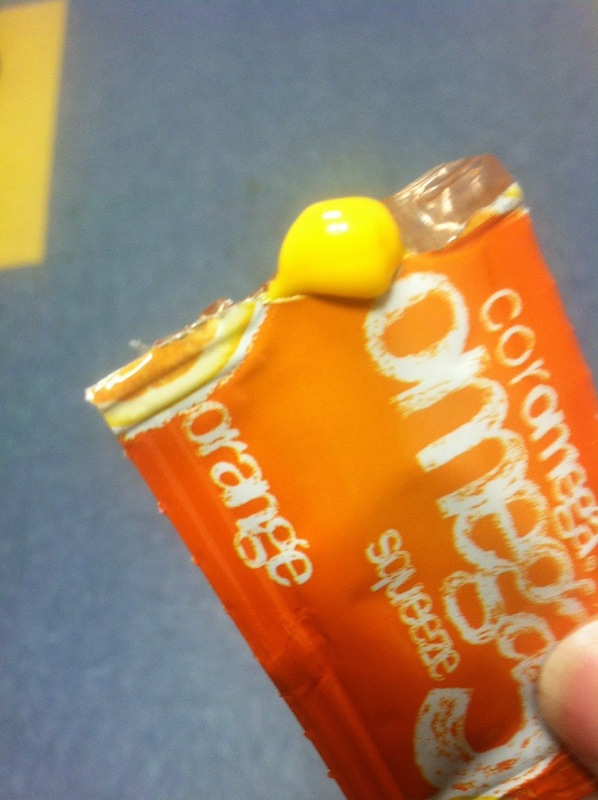 But the Coromega Omega3 Squeeze Orange takes care of the fishy flavor. They come in a small squeeze packets that taste like an orange creamcicle. Each packet has 650 mg of omega-3 fatty acid and are gluten free, dairy free, sugar free. It's not a secret. I have a huge weakness for Peanut Butter. 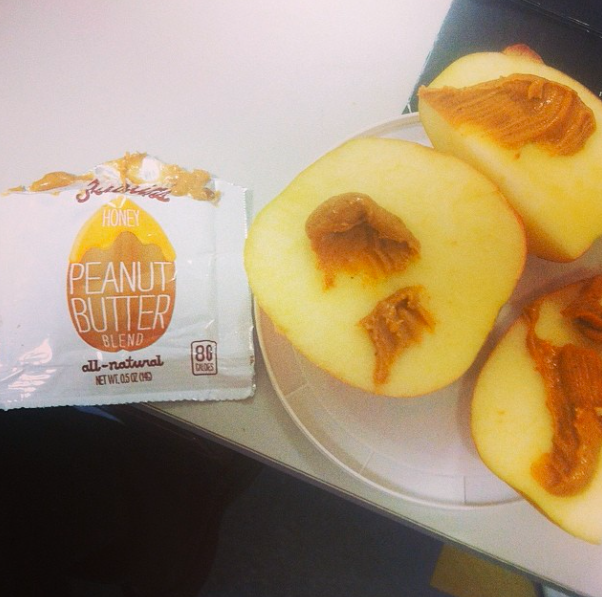 Justin's makes a high quality, great tasting product and has outdone themselves with the Honey Peanut Butter Squeeze Pack. Not only does it taste delicious - especially with an apple, it's easy to travel with. The one product I couldn't bring myself to try was Reed's Ginger Chews. I'm sorry. I tried. Ginger chews is what I ate too much of during those pregnancy days and I cannot get past it. I do love the description of it - sweet, spicy, and chewy. However, I have the perfect person in my life to give this little gift to and she will definitely love. In the box was also a $40 gift card for HelloFresh. I just placed my order and I cannot wait to see what I get! HelloFresh delivers farm-fresh ingredients with easy-to-follow recipes directly to your house. I am so excited! 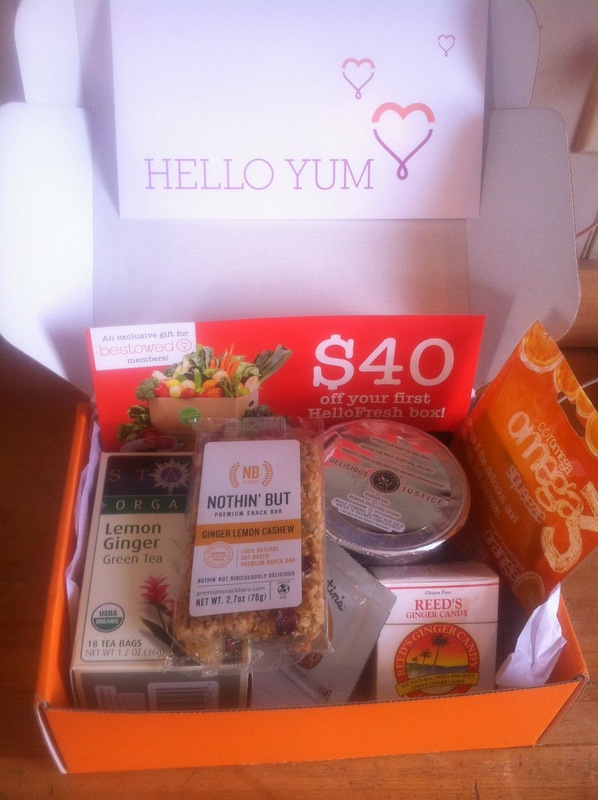 Use HELLOYUM42 to get your FIRST Bestowed box for $10 (one heck of a deal! )....but hurry! This code expires 4/15!!!! Interested in buying an item from the March box? Purchase here!